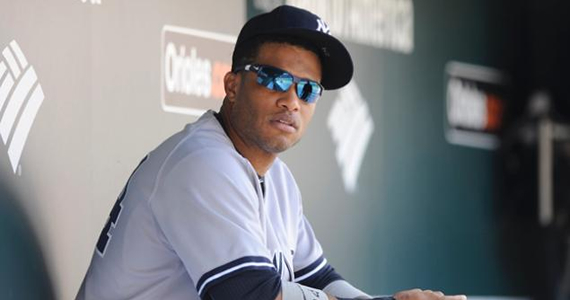 Jobu asks the tough question: should the Yankees keep Robinson Canó? 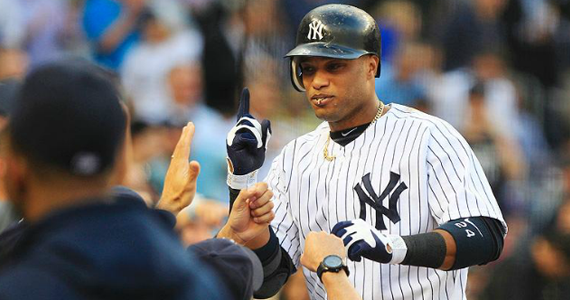 There’s no shortage of reasons for the Yankees to continue employing Canó as their second baseman. Last year, with virtually no protection in the order for most of the season, he managed to slash .314/.383/.516 with 41 doubles, 27 homers and 107 RBI. He also played, as usual, a pretty stellar second base, making only 6 errors all season long. Simply stated, Robinson is the total package. He’s the rare middle infielder who can hit for average and power while playing solid defense. He’s also durable, only missing 14 scheduled games since 2007. Those types of guys don’t come around all that often. The Yankees will not find another Robinson Canó in this year’s free agency crop. The best available second baseman in this year’s free agency class is They also won’t find another Canó on the trade market, and they certainly won’t be finding one in their depleted minor league system ready to contribute any time soon. He is, essentially, irreplaceable. The best available major league free agent second baseman that is currently available is probably Omar Infante. Infante is a lot of things. He hit .318/.345/.450 with 10 homers and 51 RBI for the Detroit Tigers this season. Those are nice numbers, but the 31 year old is no Robinson Canó. The other major league options are Kelly Johnson, Mark Ellis and Brian Roberts… Not exactly a heart-stopping list, right? Don’t worry, folks, I’m not crazy. As many reasons as there are for the Yankees to give Canó his decade-long contract for hundreds of millions of dollars, there are a few reasons I can think of to let him walk too. First of all… 10 years and $310MM? Has he completely lost his marbles? That contract would be the biggest contract ever signed by any player in major league history. The only other guy to top even $250MM is his teammate and current Yankees pariah, Alex Rodriguez (10 years, $252 with the Rangers in 2000 and 10 years $275MM with $30MM in possible bonuses in 2007). Only Prince Fielder (9 years, $214MM with Detroit), Joey Votto (10 years, $225MM with the Reds) and Albert Pujols (10 years, $240MM with the Angels) have ever even topped the $200MM mark. 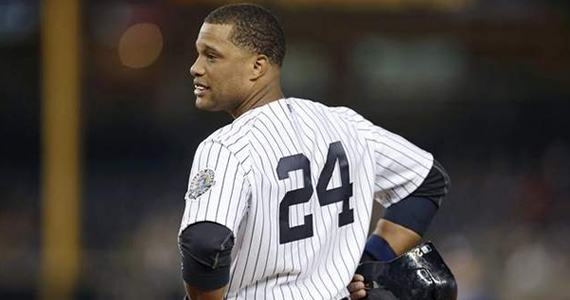 Everyone knows both A-Rod contracts, especially the second one, were huge mistakes. Why the Yankees thought it was a good idea to give a 32 year old a 10 year deal is beyond me, even though he was coming off an MVP season at the time. Well, guess what, friends. Canó will be 31 in a week. A 10-year deal would mean he’d be paid top dollar until he’s 41 years old and well past his effectiveness at the plate and in the field. Do we need yet another 40 year old making $30MM a year? Isn’t that the problem that’s starting to plague the Yankees now that A-Rod, Mark Teixeira and Derek Jeter are getting older? If the Yankees give Canó the contract he wants, it will eventually become one of those awful albatross contracts that bring a team down. Also, I don’t think anyone is worth $310 MM. There, I said it. I’ve been thinking about this situation since April. One of of the reasons I haven’t written about it is that I’m not sure I even know what I want the Yankees to do here. On the one hand, he’s their best player and they should do everything in their power to keep him. On the other hand, I’m tired of the team getting saddled with aging and over-payed players well past the time when they are effective on the field. I will say this, however. If Canó doesn’t back down from his ridiculous contract demands, then the Yankees have to let him go. Frankly, I’m not even sure there’s a team out there, other than the Dodgers, who can even afford to sign him. The Mets have no money. The Tigers and Angels already have hefty commitments to several big ticket free agents. In the case of the Angels, they might be unwilling to pony up a lot of years or money now that their contracts for Albert Pujuols and Josh Hamilton look like possible busts. The Red Sox just signed Dustin Pedroia to a nice, team-friendly extension this past season. But, if one of these guys, or another mystery team like the Cubs or somebody, decides to throw that money at Canó, the Yankees have to let him go. At most, he has maybe three more years of top production left before he begins to decline, and I don’t want my team to pay for the other six or seven years of terribleness. I’d be OK with giving him $30MM, but no more than somewhere between five and seven years. If the time comes, and Canó leaves, the Yankees do have a couple of options. They could try to swing a trade for a guy like Brandon Phillips. Phillips is 32 years old, but only signed for four more years at $50MM total. He’ll be gone by the time he’s 36, and would save the yankees about $250MM overall. They’d lose some production for sure, but Phillips is capable of a 15-20 homer, 100 RBI season and plays very solid defense as well. I’d rather pay him $13MM a year until he’s 36 than $30MM a year to a 41-year old Canó. Phillips is known to be unhappy with the treatment he’s been getting from the Reds’ front office, namely getting passed up for an extension in favor of Votto, so he might want out of Cinci too. The only question there is if the Yankees have enough in their system to pry Phillips away. The other option is a little scarier, and a whole lot riskier, but there is a free agent the Yankees could go after. He wasn’t on my list of current major league free agents earlier because he’s not a major leaguer. His name is Alexander Guerrero (pictured at the top of this section), and he comes from Cuba. Guerrero defected back in January and has recently been cleared to sign with major league teams. For a while this summer, it was thought that the dodgers had him all but signed to a 5 year deal, but that apparently fell through. That’s probably a good thing for Guerrero, who has received interest from several major league teams. If the Yankees are serious about not giving Canó a 10 year deal (as Hal Steinbrenner has said), then they’d be dumb to not look at Guerrero. While Guerrero is not elite, his power (and hopefully nothing else) has been compared to Dan Uggla of the Braves, and he’s only 26 years old. He’s also allegedly only looking to sign for four or five years, which would mean the Yankees would be free of him after his age 30 season. Like I said, I don’t know what the Yankees will, or even should do, but it’s important that they know they have options. We don’t need another ARod situation.